In the first instalment of this four part interview, Mauricio spoke about the development of competition in BJJ. In this week's discussion, he talks about his son, Roger Gracie. slideyfoot.com: It's interesting you mention sponsorship there, because in Roger's case, he always wears a plain gi, you don't see lots of sponsors all over him. Mauricio Gomes: He never really had a sponsor, except Keiko Sports, who have been helping him since he was about sixteen years old. 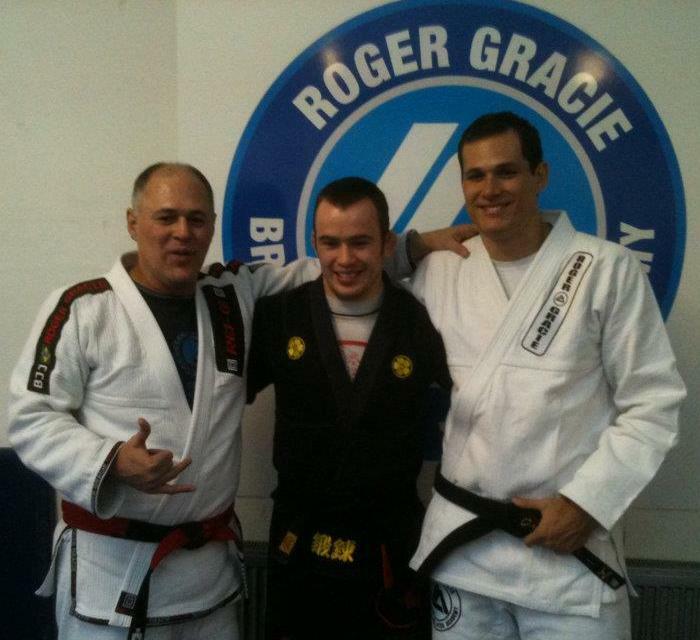 They sponsored him for quite a while, blue belt, purple belt, all the way to black. Even now, I think at Roger's last two competitions, he made a deal with Keiko on the day to use the gi. I don't know what kind of terms, because I don't get involved in the financial side of things. Roger still has his gym, so he still has to look after his gym, teach, see what's going on, is it good, is it bad, is anything missing. On top of all that, he has to train three or four times a day for months and then go to the competition. A lot of other guys that are competing at that level, they don't have gyms. They are part of some gym, but they usually don't have their own gym, running it, not all of them. Marcelo Garcia has his, but most of them, they come from a group. That group is their training camp. But it's a lot of money, and these competitions don't give you anything back. It's a medal, a handshake and an "attaboy!" [laughs] But you have to see it that way, because it's an amateur sport. Amateur sports maybe give a prize, but other than that, you would have to go to the professional level, which would be MMA or something like that. slideyfoot.com: I'm sure you've been asked this many times before, but do you think there is anything unique about your son Roger that enables him to be so successful, or was it just down to hard work? Mauricio Gomes: I'm a bit biased of course, for me he is a very special boy. Not only because he is my son, but it is about what he has achieved and the humility he always has. I see sometimes a very clear example. You see at this competition we're at now [the GB Submission Only], you see people fighting, one has to win, the other has to lose, everything is normal. Now, how do you win and how do you lose? That's the main quality that the fighter will have to show sometime in their life. I see people sometimes, they won the fight, fair and square, no doubting about that. Then the other one, perhaps they're hurt for some reason, a popped knee, or something like that. The first guy, they won, so obviously they're happy. I've seen in some situations the guy screaming his head off in the middle of the mat, while his opponent is lying on the floor, all wrecked, but the winner doesn't have the decency to help out the other guy. "What happened, are you ok, what can I do," something like that. No, he goes around screaming this and that, jumping up and down. I find that is a huge lack of respect to your fellow competitor. Obviously, some people don't care about that, I see that as a negative point. Maybe it is just me, maybe I'm an old timer, but I find it weird. slideyfoot.com: Roger is of course well know for being humble, he wouldn't do that. Mauricio Gomes: Exactly. The fight he had with Demente at the last Mundial, Demente's arm was about to break. Roger let the arm go to try something else, you know? That's a good demonstration of fair play in a fight. You're fighting, it's all fine, anything goes, you can do this, you can do that. It's all damaging, really bad. But how do you apply that, how do you deal with that? How do you win, how do you learn to lose? A fighter is composed of many things. It's not just an ability to fight and how much gas there is in the tank, no. There are also the qualities that will make that fighter always grow. Otherwise my friend, we're just here eating grass. slideyfoot.com: Since RGA 2 opened in Kilburn back in 2009, there are quite a few RGA affiliates now, even internationally with Helio's school in Angola among others. 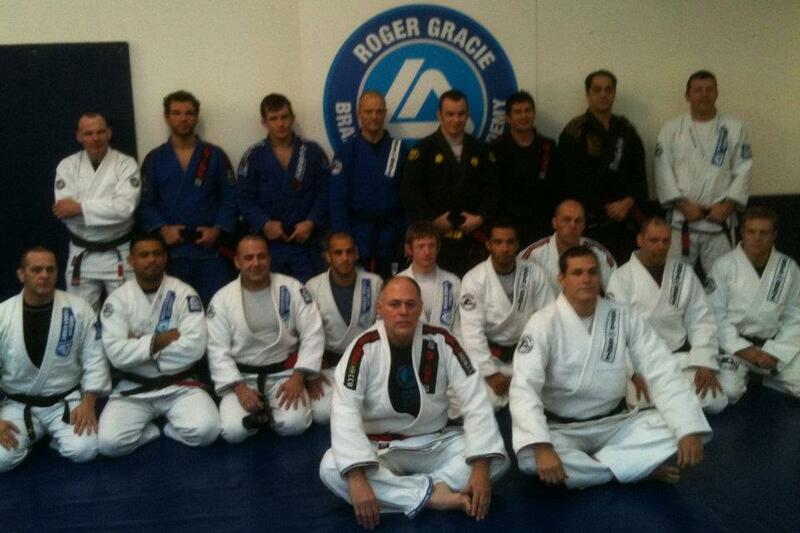 Do you see the Roger Gracie Academy as a separate team, or still an off-shoot of Gracie Barra? Mauricio Gomes: I think that Roger, when he competes, to this day, he never used his academy name. So as far as I'm concerned, he is still Gracie Barra. If he is Gracie Barra, competes for Gracie Barra, training at Gracie Barra his entire life, I would say it's still the same thing. I don't see a difference, not yet, anyway.